Nintendo needed a break from the Wii to take care of other important launches, but says more first-party content is coming soon. If you take a look at Nintendo's list of upcoming first-party games, you'll see Legend of Zelda: Skyward Sword, and... nothing else (edit: And a Kirby title). Does this mean Nintendo has largely abandoned the Wii, or is perhaps gearing up for the Wii's successor? Not according to Nintendo of America president and COO Reggie Fils-Aime, who says that Nintendo just needed a break to focus on the launch of the 3DS and Pokemon Black & White. IGN spoke to Fils-Aime about the Wii in general and how Nintendo is handling the system's decline in sales. Fils-Aime looked on the bright side and pointed out that as a device whose sales peaked in its 3rd year, continued to be strong in its 4th, and that sold more than 7 million units per year for three years putting a total of roughly 35 million consoles in people's living rooms, the Wii is still "doing great." 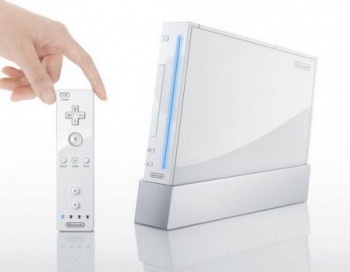 Fils-Aime indicated that Nintendo would continue to keep the Wii "distinctive" from Microsoft's Kinect and Sony's Move with great content such as Skyward Sword, which is certainly looking pretty good. However, one game does not a system make. Does Nintendo have anything else on the horizon for the Wii? Yes, Fils-Aime says. Nintendo had to prepare for the launch of the 3DS in Japan on February 26 and is still preparing for its late March launches in other regions. In addition, Nintendo was focusing on Pokemon Black & White, which recently hit stores with much fanfare. Fils-Aime says that Nintendo has been "juggling two big balls" and to juggle a third with the Wii "would be a little bit challenging." Fils-Aime added that there is definitely more content coming to the Wii, and Nintendo will be sharing what it'll be in the coming weeks. Some of this content will be revealed before E3, and then at E3 Fils-Aime says Nintendo will be sharing more Wii news. My big question is: What could Nintendo have left to share?